Member of boy band "2PM"
suran Apr 24 2019 3:09 am Why they always lie about their height? He is barely 174.
suran rezaei Apr 24 2019 3:09 am Why the always lie about their height? He is barely 174.
p.p. Mar 16 2019 4:54 am Lee Junho ready to win yet an other award with his new drama Confession. He looks very handsome on the poster and acts very cool in the trailer showing his serious side. Must watch drama i think. Go Junho ! suju.chelle Feb 16 2019 7:49 pm I really loved him in Wok of Love and their chemistry with Seo Woo is Daebak ? Another Oppa ?? ellie Feb 07 2019 12:56 pm There is just something about him that makes me think of L. Love his smile and he comes of so much more mature than L. Such great acting feels with a wide range of emotions. One of my favorite actors in 2018. Love the dramas he's in! Mélanie Oct 23 2018 4:19 pm Super talented! Amazing voice and great acting. You are so good in "Just between Lovers"
Jocelyn Kee Seok Choo Sep 30 2018 3:53 am Love him so much in Wok of Love, especially his love chemistry with Sae-Woo (Ryeo-Won). eu fan Jul 27 2018 11:55 pm Please director cast Lee Junho in a hystorical drama. When you see him in the Memories of the Sword you will understand that his face is made to play hystorical roles and that traditional clothing brings his handsomness even more forward. He is really amazing playing a hystorical figure. It is time to see him again in a hytorical movie. l.y.l.j.h ! Mia Jul 24 2018 5:31 am Hai jun ho,i like you more than another 2pm member.i like wooyoung, but i most like you, you are handsomest. I like just the way you are. You can dance very good, your acting is natural, and be natural in front of camera is the best actor can rich. I hope you always healthy, happy, and successful. And i hope you fine someone who loving you just the way you are. I hope she loving you and always together in a good life.i am waiting for another drama or movie, and you as a lead aktor. p.p. Jul 20 2018 12:59 pm Hi Junho, the girls are asking how did you make the picture with the dual shadows in Sapporo - you can see at least 6 shadows. I would say you were fasinated by the shadows made by the two lamps and you pushed a botton. But it is also possible that you knew about the dual nature of light and a phenomenon called interferention of waves - the best visualisation is by trowing 2 stones in water - the waves you see interacting in the water are the same as the waves of light or the waves of sound. You guys of 2pm when you sing produce waves that react with each other the same way in the air and the public here this complex beautiful sound. You can say this to the girls or just say that you are Harry Potter and you can do this kind of magic. :) By the way, love your new rap in AllDay! Saw your drama - you were amasing! Awate your new projects. Saranghaeyo Junhoya! Keep healty and happy! p.p. Jul 13 2018 7:03 am Hi Junho i am your fan and would like to help you with finding and developing of new striking images and concepts. I can recommend you the Dutch designer Alexandra Izeboud who worked for Beyonce,Pepsi and Super Bowl and designed their trend-setting poster for internet and Time Square. You are doing great at the moment, congratulations and keep it like that ! Da tanjin' chowahe , a lot ! p.p. Jul 07 2018 1:30 am Now i have the excuse to like you even more. I never intended to leave you. I just wanted to be honest even if it hurts. Keep happy. And do your best. mrs. Lee May 24 2018 2:36 pm I love you to the moon ^^ Keep healthy and happy dear junho ? p.p. May 23 2018 12:46 pm it is the end of ep 12 actually :) - genious scene , i love it ! p.p. May 23 2018 12:30 pm Junho you shine like the stars in Wok of love . All the scenes you play are beautiful , touching and memorable . I had to cry seeing how you were beaten up - it looked so real and made me cry . I hope the tears we your fans shed heal your pain . Still the most geniously played scene for me is the stir frying scene at the end of ep 11 - this is the most powerful scene i have ever seen and you are amazing in it . Lots of love back to you . the confused potato May 14 2018 3:06 am I thought that he was the same guy as Baek In Ho in Cheese in the Trap (drama) ? Laras May 14 2018 1:57 am You are amazing.........!!!!! pen k May 05 2018 3:06 pm I loved the last drama of Junho Just Between Lovers / Rain Or Shine and here he comes with a new drama Wok Of Love few mounth later ! It is amazing how fast he has learned some cocking scills - chopping, wokking with two woks at the same time, trimming a lobster etc. I saw already some videos and it is really very entertaining and also different from all his other dramas and films . You are doing great job Junho-ssi ! Take good care of yourself and your beatiful voice. I wish you lots of luck with your new drama and hope you win an other award with it ! yeye Apr 07 2018 8:24 am he is not only good on music and dance. But he is an Great actor!!! Before i know him because 2pm, now i love him more and more after watching Just between lover. kimmy Mar 04 2018 3:45 am When most of my favorite actors were enlisted in military last 2017....i thought all the while i cannot find a good drama but when i got curious of the drama "Just between lovers" , i cannot stop myself of watching more episodes in 1 day. Lee Joon- Ho played a good role, i really admired his performance in this drama. I am looking forward to see more of his acting on the next drama. He deserve an awards in his acting, i was surprised also that he is a member of 2pm..... he is really a talented guy. Now I am a big fan of him. Good luck Oppa!!! Nat Mar 02 2018 11:23 am I feel like I've withdrawal syndrome after the end of Rain or Shine (which is the best Kdrama I've seen since probably Secret Love). I need to see him act again. Such a wonderful, charming and talented actor he is. Between Manager Kim and Rain or Shine, he has become my favorite idol actor. I don't know how I slept on this man for ages, since I got into Kpop before 2PM even debuted. Not only can he act, but he is a brilliant dancer (just youtube his videos), a talented composer (he is among the top 10 male idol with most written songs in Kpop and his solo releases are great) and a great singer too (his voice is so damn good, like it melts my ears). xinmure Mar 01 2018 4:47 am it was his first lead role, and he potrayed his character very well. from face, structure, speaking, etc, just suits gang doo very much. he's an excellent actor and he deserves so many awards considering his play. my eyes are full of heart everytime he's on screen. Nadine Feb 28 2018 7:09 am One of the greatest actors ever!!! Waah Feb 27 2018 9:42 am Been a Kpop fan for over a decade, been listening to 2PM for a decade. But I never gave attention to this guy. Wooyoung was the only guy from 2PM I paid attention too, granted Taecyeon was the most popular one. Then I saw Junho in Chief Kim last week and damn he destroyed, burned and ripped off my bias list so hard. I couldn't stop staring at him in Chief Kim, he made the show for me. Then I watched Just Between Lovers and I fell in love. He went from being someone who I never paid attention to being my favourite in Kpop in an instant. Wahh he is the total package, he can dance, sing, act (the best idol actor i've seen) and is damn hot. Miro Bico Feb 26 2018 1:57 pm It's really sad that he started his kdrama career just a few years ago. I've heard about 2PM but I only knew Nichkhun, Taecyeon and Chansung.. dang! I've committed a grave sin not knowing Junho at all!!! What the heck?!? Where have I been?!?!? Just last week, I watched Chief Kim and saw Junho for the first time (yup, kill me.) and was amazed by his acting ability. I was like..holyyyyy! Who's this guy? I need to find his identity (lol) and the drama he has done from the past. And I found out he's from 2PM and not long ago started his kdrama (thank goodness! I still have time to catch up). I've watched Chief Kim and Rain or Shine, so I will be watching Memory later! yay! I was already in awe with his performance in Chief Kim and then.. BAM! Just between Lovers hit me even harder! I am definitely, 100%, hands down, heads over-heels, stalker-mode-on---- new fan of him! ha! I hope he can make more kdrama before entering his military enlistment. Good luck to this guy and I bet he will be a top star for sure! Maria Cynthia Magbanua Feb 19 2018 7:50 pm Agree completely with CKW. Just found out that he is a great stage performer too...Wow!! What a complete package. Two thumbs up Junho. All the best. CKW Feb 13 2018 6:06 am He did a beautiful job in portraying the jaded yet soft hearted Kangdoo in Just Between Lovers. He was really the heart of the show (ofc Won Jinah was the soul). Highly impressed by his versatality which he showed within just two shows (he played the villainous Seoyul in Chief Kim very convincingly as well) which I'd consider an impressive feat. Normally I'm very skeptical of idol actors but he's among the best I've seen without question and I wasn't even a fan of his before this. Would love to see more of him in the future. Ukiechick Feb 04 2018 12:41 am Just loved this drama. Beaulah It was the architect actor that was in Doctor Kim. The drama was well written .Junho was just marvelous his emotions were spot on and his versatility in emotions was amazing. First time I've seen him in a drama. kaya Feb 03 2018 8:14 am A wonderful and amazing talented actor! He deserves the best award for his performance in Just Between Lovers. Congratulations from my heart! Kyung1208 Feb 01 2018 4:54 am He did a very good job playing Lee Kang Doo, I can't imagine any actors to play Kang Doo besides him. I hope to see him and Won Jin A in more dramas together. They deserve to win awards for "Just Between Lovers". I really hope to see him in more dramas in the near future! Good Luck and Thank you for your outstanding performance in JBL. Dana Jan 31 2018 12:58 am Finished watching "Just Between Lovers" tonight, and I have to say that he is an incredible actor! Gave the character he was playing so much depth...cannot wait to see more of him in the future. Jeszhope Jan 26 2018 2:38 am Great Actor, singer n dancer ... Have a good personality in real life... you doing a good job! 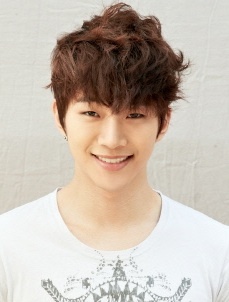 Happy birthday n God bless u Junho ?? Ferdous Jan 26 2018 2:11 am Amazing actor, I didn't know him before. Bt after watching him in Just Between Lovers. I fall for his acting as a rough, tough yet a soft hearted guy. I count for ur next more dramas with a lead role. Laras Jan 15 2018 5:45 pm I do really like your acting at just between lovers. Keep learning and fighting to perform the best scenes in future....? Una Jan 10 2018 9:53 pm wow. what a natural and expressive presence on screen. absolutely mesmerizing to watch. looking forward to seeing a long-lasting body of work from this actor. Gracemaria Jan 05 2018 6:14 pm I have a great feeling that he will receive another award from Just Between Lovers. I really love this drama. It took a long time for me to find another good drama after My Innocent Boss which is my favorite drama. dee Jan 01 2018 10:37 pm Im in love...... The chemistry between he and heroin (just between lovers) are amazing. Isu Dec 31 2017 10:45 am One of the best actors.Very talented.He has a very unique style of acting which is shown through each character he acts as.Both Good Manager and Just between lovers are excellent dramas. Annie Dec 30 2017 3:23 pm he is an amazing actor, I like to see more from Junho.. very handsome too............ such great |Talent from such a young man.. Stay real Junho..
sannar.0 Dec 28 2017 1:13 pm I didn't know he's in a boyband! He's gonna go far in acting because he's sooo good. Splendid actor! Alaina khan Dec 27 2017 9:50 am He is amazing!! I just love him and his acting..He is doing such a great job! To all thoz kdrama fans der..Just between lovers is a must watch..
Anne Dec 15 2017 5:55 pm An amazing actor looking forward to seeing him do Lead in this wonderful Drama Just Between Lovers.. I hope Junho Lee gets an award for this and as well more great Dramas to come..Be watching for it. Joy Dec 14 2017 10:53 am He is The Best?? soooo Handsome and simple?? Getting excited just knowing that he will be featured?been waiting for him to get into a romcom.. EXCITED!!!! ??? Penka Nov 19 2017 4:26 am Junho Lee is a rising acting star . With his role in Good Manager he got the Asia Artist Award for Best Celebrity 2017 last week . We expect him with his role in Just Between Lovers to break his own record and win an other Award next year . Webbybebb Oct 29 2017 6:45 pm An amazing actor and I just want to see him in more dramas and movies. Penka Sep 25 2017 11:14 am I would like to add that the role of Junho in Memories Of The Sword was very impresive too . If you read this and you haven't seen this movey yet you should see it. Junho plays his role magnificertly . Penka Sep 25 2017 11:05 am Lee Jun Ho or Junho Lee is a very good actor and singer . He puts all of his heart in his work and I find him amazing . His role in Memories Of The Sword is also very impresive . Great job Junho ! We love you ! Penka Sep 25 2017 10:56 am Lee Jun Ho or Junho Lee is a very good actor and singer . angelo Sep 24 2017 6:34 am I really love his role in Chief Kim! ?????? Liz Sep 07 2017 8:42 pm Lee Joon-Ho reminds me of Bi Rain with similar charisma . Beautifulswan Jul 28 2017 8:33 pm I don't know you, the first time i saw you was from chief kim as the antagonist but instead hating u, i find that u are funny ? Interesting character. Good job! fan Jun 30 2017 12:30 pm He was so cute when he was pissed at cleaner ajumma .in chief kim ... lol... handsome hunk! Hotelier Apr 10 2017 11:31 pm I started to like you since Chief Kim :D you carry the role nicely, and hopefully you'll choose more good roles in the future. Kinda think you look like young version Kwon Sang Woo. Vanj vila Apr 02 2017 11:00 pm I really love how you shout in the drama. You always shouting but its really cute. Ob Mar 19 2017 6:19 pm Impressive acting in Chief Kim. lukii Mar 18 2017 9:13 pm Wow, I'm surprised with his acting in Chief Kim.. He's really good.. I got goosebumps watching his character in Chief Kim.. well done... looking forward for more from him! kimkim Mar 16 2017 10:36 pm Lee Joon Ho just so great ... love his acting, perfect. i like every his facial experession . and the way he play pen with his hand (in Chief Kim) ??? Vitana Mar 10 2017 3:15 pm For my surprise he is very good actor. I knew he is a singer and I didn't expect much, but he is very talented and clever actor. I like to see him in many more dramas, and I agree with the comment of Cute Cat that he is not just the bad guy, but he is much , much more. Yoora Mar 08 2017 7:27 am Junho is perfect in everything.. His voice, his dance, his composing skills, his songs & of course his real character ? He proved himself as an actor now and I'm soooo proud of being his fan for more than 8 years~ if you don't know 2PM or members I suggest you to watch 2PMSHOW that is already searchablein YT. You're gonna fall in love i promise ? moupriya.776@gmail.com Mar 07 2017 9:59 am This the first time i fall in love with the villen ... Damn i can't control myself...He is so good in Chief Kim! doctorx Feb 12 2017 2:15 pm best !!!!! Jose Feb 03 2017 12:47 am He is so handsome in Chief Kim. His acting as the bad guy is really cool..
Deisss May 09 2015 2:03 am Junho oppa jjang <3<3 saranghae bbuing bbuing :* I love everything of you! You're the best idol actor, I will always support you. FIGHTING!!!! 2pm Mar 10 2015 6:11 am Hi!you are sooo cute and handsome.awesome singer.I love you.I'm your biggest fan from sri lanka. Xaddy Dec 04 2014 8:00 pm His acting in Cold Eyes is "WOW" and I don't even recognize him... Very well done JUNHO! 2PM Fighting! Yami May 19 2014 4:45 am A brilliant mind and a full talented artist: Mr Lee Junho puts all himself in each things and thatnks to this he can succeed in doing everything he does. His seriousness, his constance and his capacity of completely immerse himself in playing a character are very good qualities. Look forward on his next works as singer and as actor. jedi Oct 10 2013 5:38 pm May you be continually blessed. Be humble in everything more than you are now. God bless! I really loved it so much , and I started to teach how to sing and speek korean. I'm thinking to study it more to be abale to speak fluently. Evilive May 09 2013 8:22 am Cute cute cute cuteeeeeeee. What can I say.